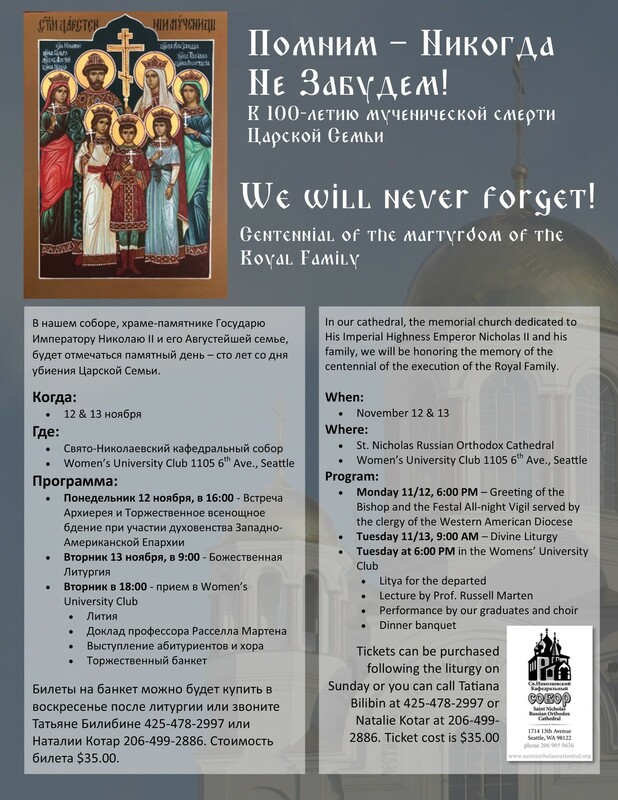 On November 13, 2018, Saint Nicholas Cathedral in Seattle, Washington, will be sponsoring an all-Diocesan a lecture and banquet to mark the Centennial of the Martyrdom of the Holy Royal Martyrs of Russia. The cathedral is a memorail church dedicated to the memory of His Imperial Highness Emperor Tsar Nicholas and His August Family. This event, open to all the members of the Western American Diocese, is being combined with fall retreat of our clergy. 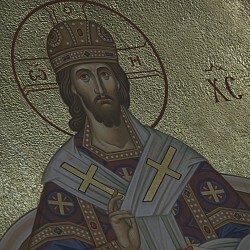 Monday November 12 at 6:00 PM: Greeting of His Grace THEODOSY Bishop of Seattle, All-night Vigil serverd by the clergy of our Diocese. Tuesday November 13 at 6:00 PM: Litya for the Departed, lecture "The Holy Royal Martyrs" by Russell Marten, performance by graduates and choir, Banquet. For tickets call Tatiana Bilibin at (425) 478-7997 or Natalie Kotar at (206) 499-2886.